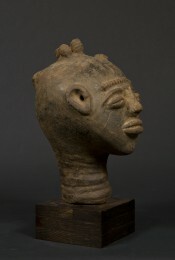 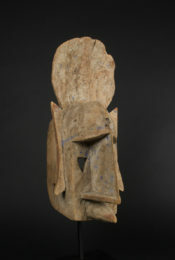 Far from the idealized naturalism of classical Dan masks, this mask (presumably a kagle face mask) is characterized by its highly cubist construction, and its distinctive projecting cheekbones and recessed triangular eye apertures. 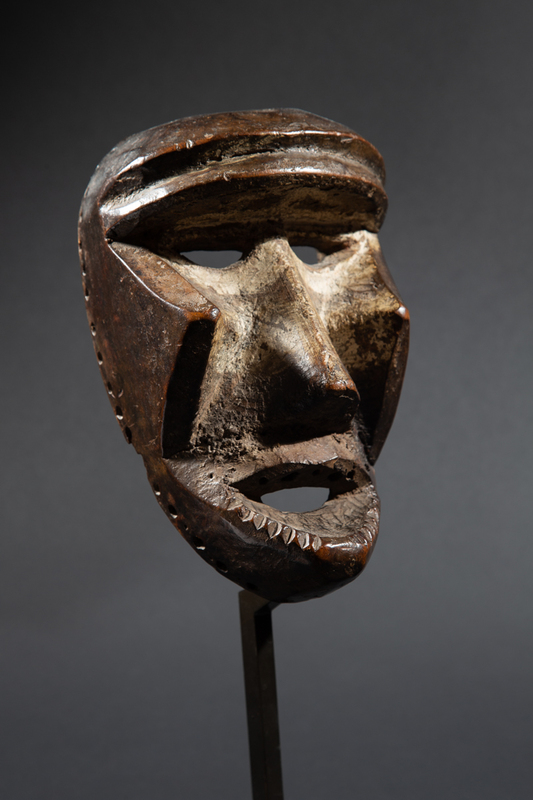 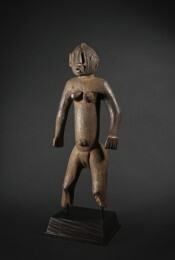 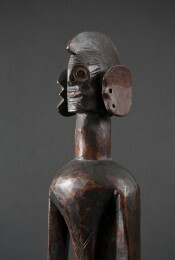 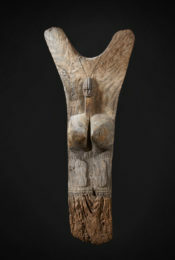 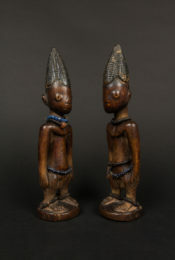 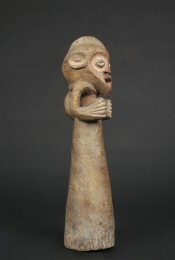 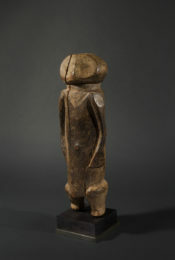 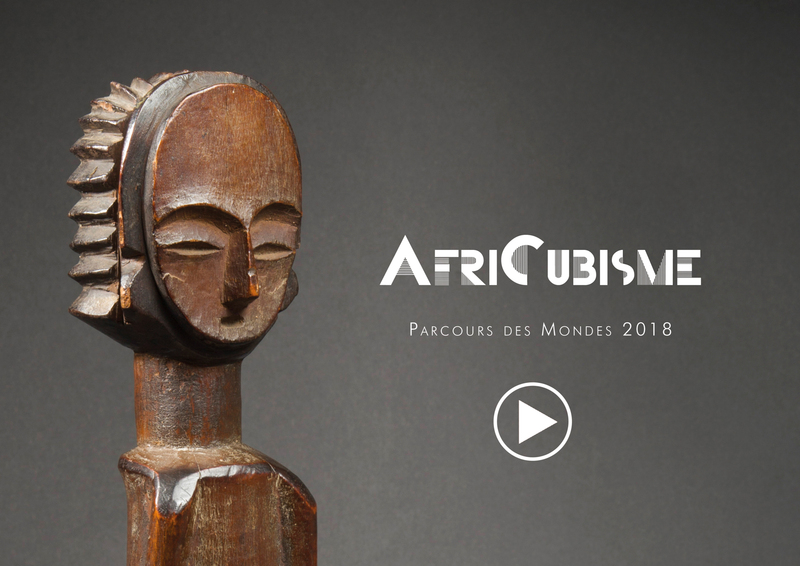 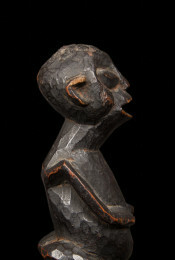 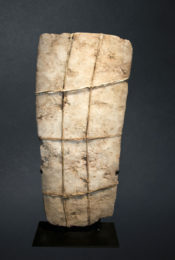 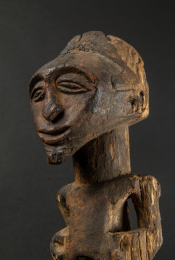 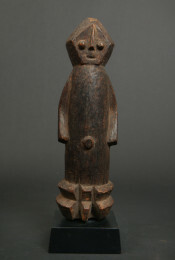 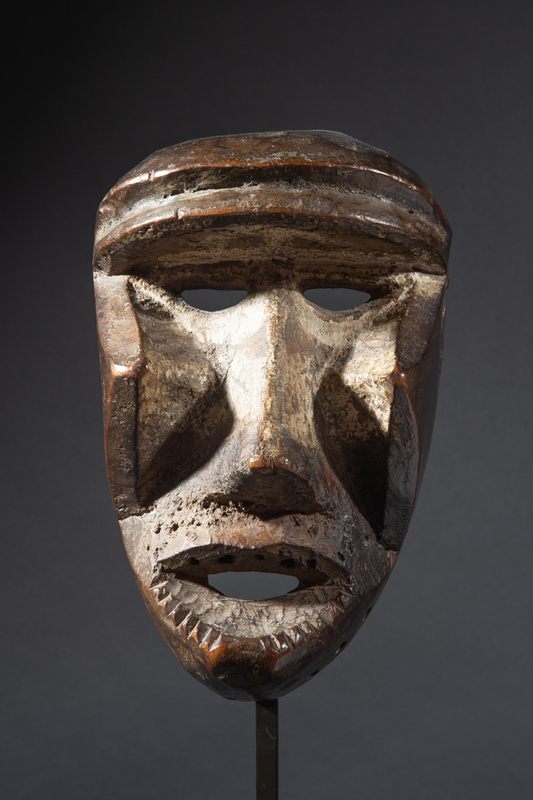 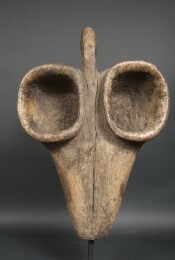 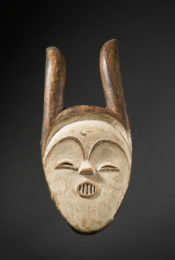 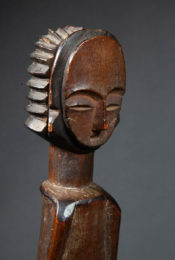 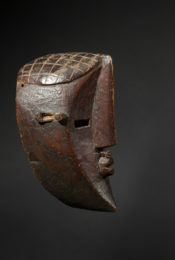 According to the Metropolitan Museum of Art in New York, Kagle masks are "troublemakers", meant to disturb village festivities with their erratic movements and agressive behavior. 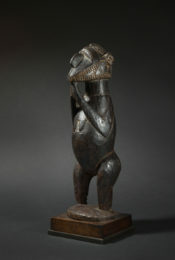 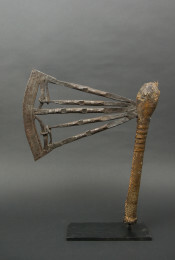 Intended to symbolize the brutal force of the bush and of savage, nonhuman creatures, the "troublemaker" is in fact a test of the solidity of social institutions. 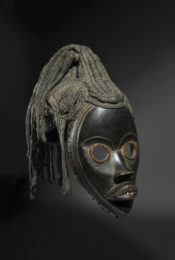 Its disruptive performance serves a social function by teaching the value of order and discipline through its negative example. 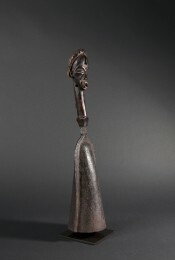 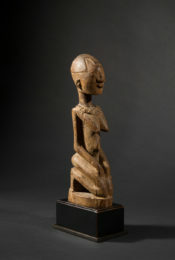 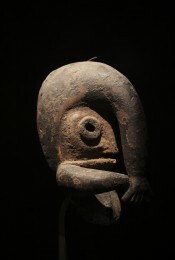 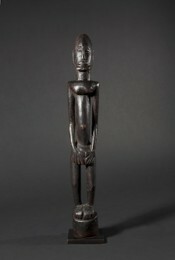 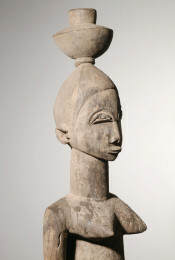 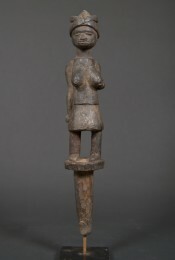 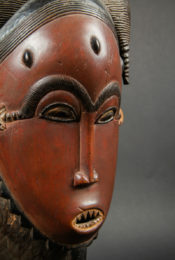 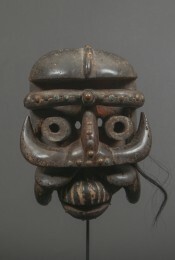 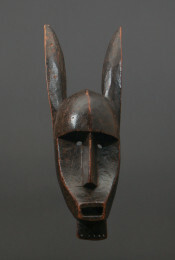 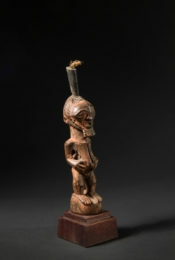 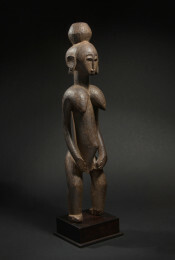 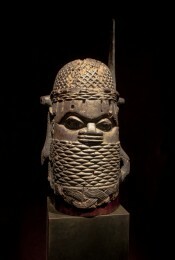 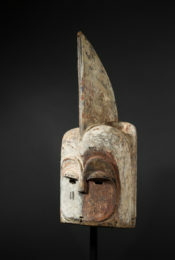 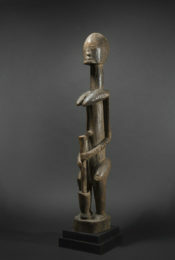 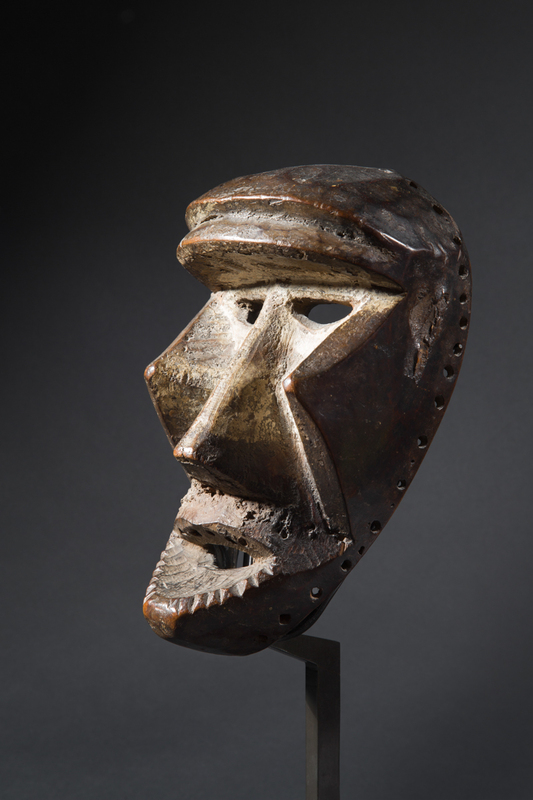 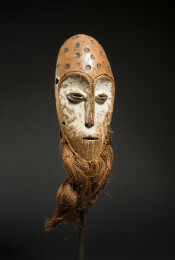 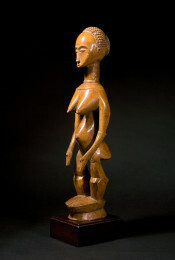 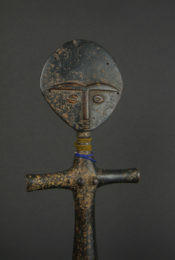 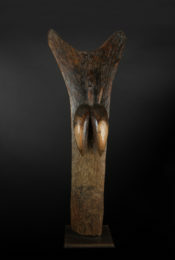 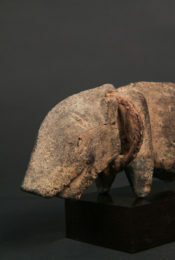 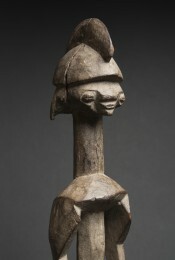 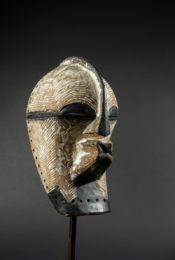 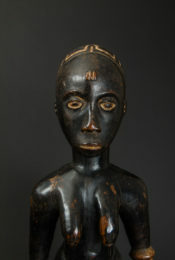 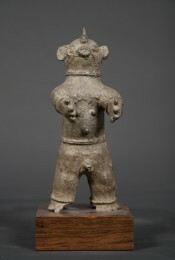 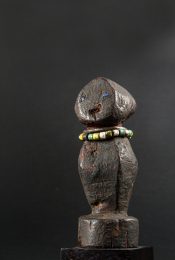 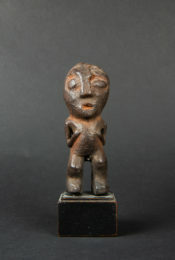 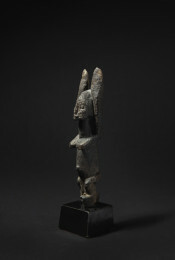 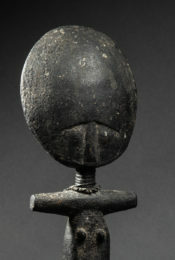 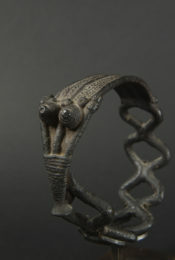 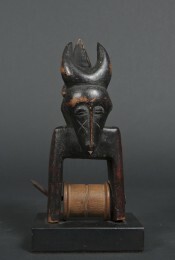 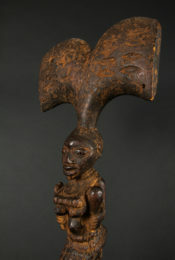 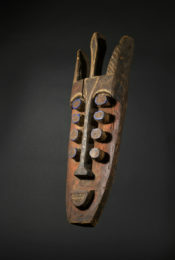 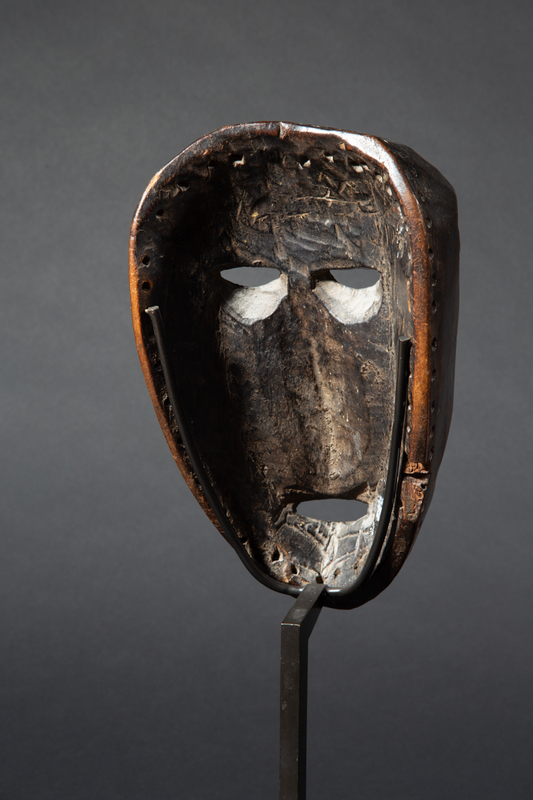 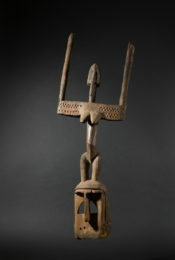 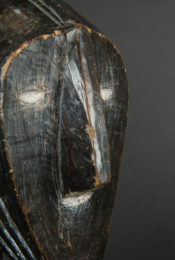 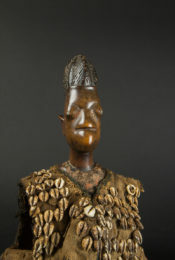 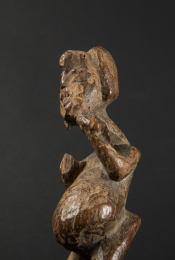 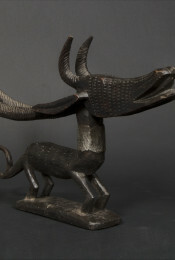 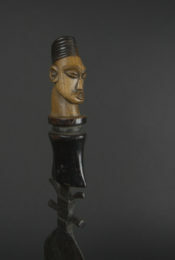 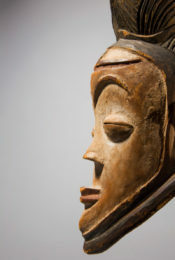 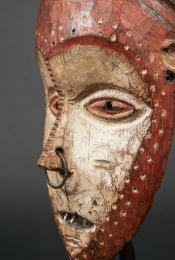 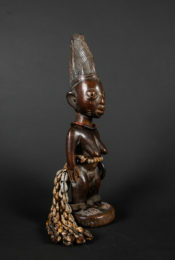 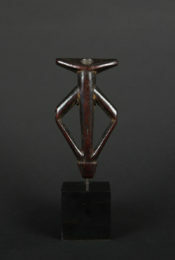 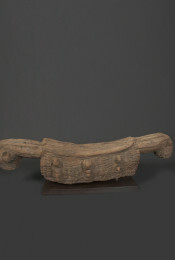 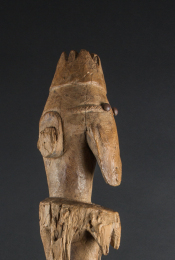 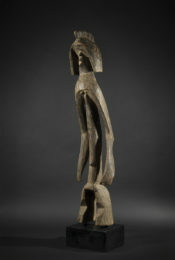 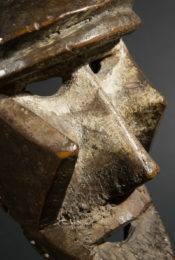 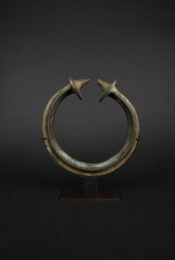 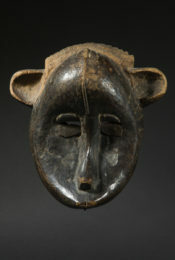 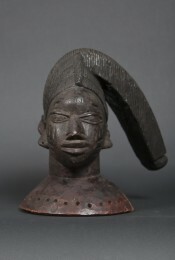 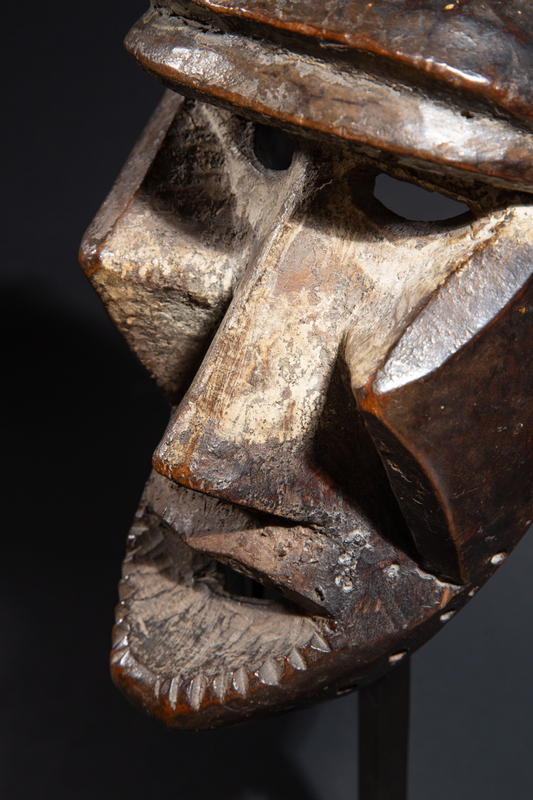 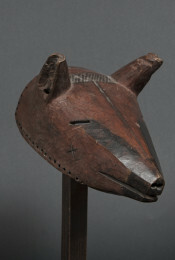 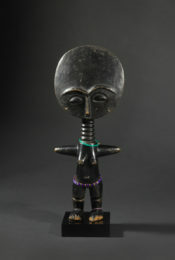 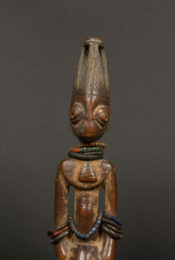 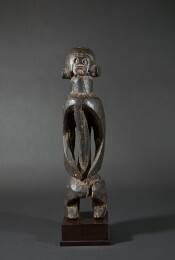 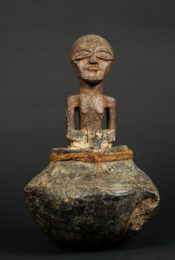 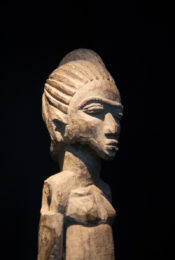 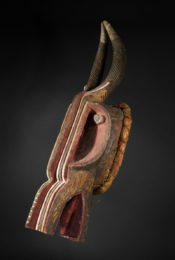 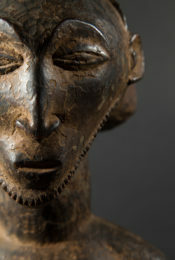 The deep patina and traces of libation attest to the great age and ritual nature of this mask.